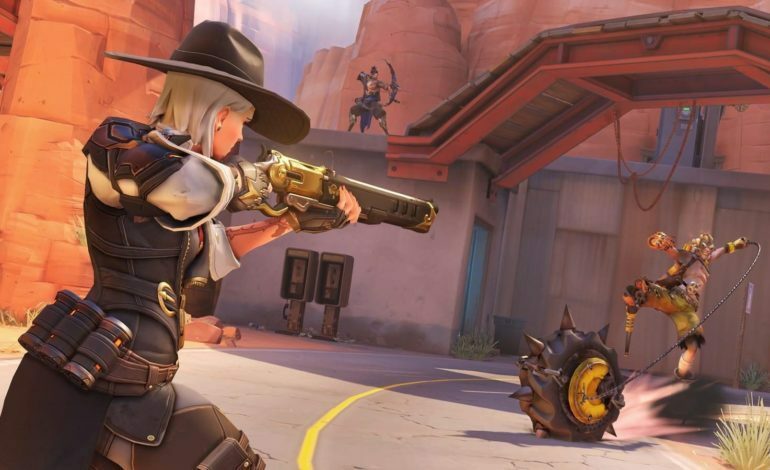 If you’re a PC Overwatch player testing out the new hero Ashe, you may have noticed some issues while aiming down her sights, mainly hitting your target. Since Ashe is billed as a more up close and personal Widowmaker, this has understandably been a huge issue for most Overwatch players looking for their new main in the 29th hero. Upset players have taken to the Blizzard forums to voice their concerns. Players feel that while aiming down the sights, the bullet performs more like a slightly delayed projectile, rather than the hitscan that it is meant to be. Fortunately, the issue is not unknown to the devs over at Overwatch. Jeff Kaplan, the public face of the game, has taken to Reddit to address the issue and to assure the player base that a fix is indeed coming, but maybe not as soon as we’d all hope. “Currently, if you play Ashe on PC and have higher than 60 fps, the aim down site (ADS) animation can look choppy or ‘stepped’. There is no lag going on. The ADS still happens at the correct speed. But the animation looks can feel a bit off.” He goes on to say that a patch fixing the issue, 1.32, is still a ways away, as the current patch being tested in the PTR is 1.31. “We’re looking into pulling the fix forward but it’s unlikely. It’s a lot of code and needs a fair amount of testing so we don’t want to rush it and risk breaking something else,” says Kaplan, all but diminishing the hopes of a quick fix. While an Ashe fix is on the way, players can look forward (or dread, depending on which side you’re on) to the new changes coming in patch 1.31. Set to receive some buffs are Bastion, McCree, and Torbjorn. Bastion’s clip size will increase from 25 to 35 while in recon mode, and weapon spread in sentry will be decreased by up to 33% while firing. McCree’s alternate fire damage, his fan the hammer shot, will be increased from 45 to 55. Torbjorn’s damage from Molten Core has been increased from 130 to 160 damage per second. Incoming nerfs will be to Brigitte and Doomfist. Brigitte’s Shield Bash will no longer be able to penetrate shields such as Reinhart’s. Finally, enemies hit by Doomfist’s Rising Uppercut will regain control of their character much quicker, with loss of control decreased from 3 seconds to 0.6 seconds. Doomfist’s range for Seismic Slam has also been reduced from 20 to 15 feet. It’s important to remember that these changes are live in the PTR only, so they are still subject to change before going live for everyone.